The weather has been hot, the sun has been shining, the shorts have been put on and the BBQ's are alight. This Fathers Day will your Dad be around the BBQ creating a feast? This Fathers Day I have the perfect gift ideas for those Dad's who love spending family time around the BBQ and those Dad's that enjoy a tipple with their meal or after their meal. The most frustrating thing can occur when a strong wind blows and you are unable to light the BBQ. This Fathers Day why not treat your Dad to a Zippo Flex Night Utility Lighter? Zippo have cleverly thought out the design of this lighter and have included many fantastic features which enable you to have a stress free BBQ this Fathers Day. 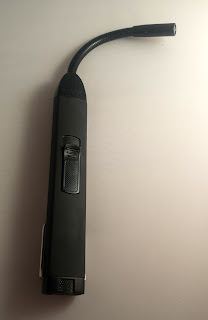 Dual-flame technology keeps the flame burning strong and bright and a flexible neck that moves easily when directed to, precisely positions the heat in any direction. The narrow gauge head is small enough to reach into tight spots in lanterns and camping stoves. The construction of the lighter is sturdy and solid and the unit is easy to use. With a 5 year guarantee, this product is built to last. With a RRP of just £15 and a sale price on Amazon of just £11.34, this makes the perfect Fathers Day gift this Fathers Day. If you’re going to be cooking up a storm this Father’s Day, why not complement your lunch with a full-bodied Shiraz. 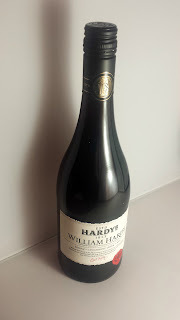 The brand new regional offering from the UK’s favourite Australian wine brand Hardys, has intense fruit flavours of fresh blackberry and mulberry accompanied by rich black pepper and vanilla spice. For some Dads there’s nothing better than kicking back and enjoying a delicious glass of red wine after a busy day. 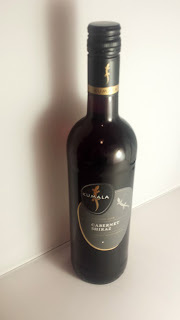 Kumala’s Cabernet Shiraz is sure to be a hit when enjoyed on its own. This dark ruby wine is full bodied with spicy barbecue notes, perfect for Dads who love to cook al fresco in the summer months.